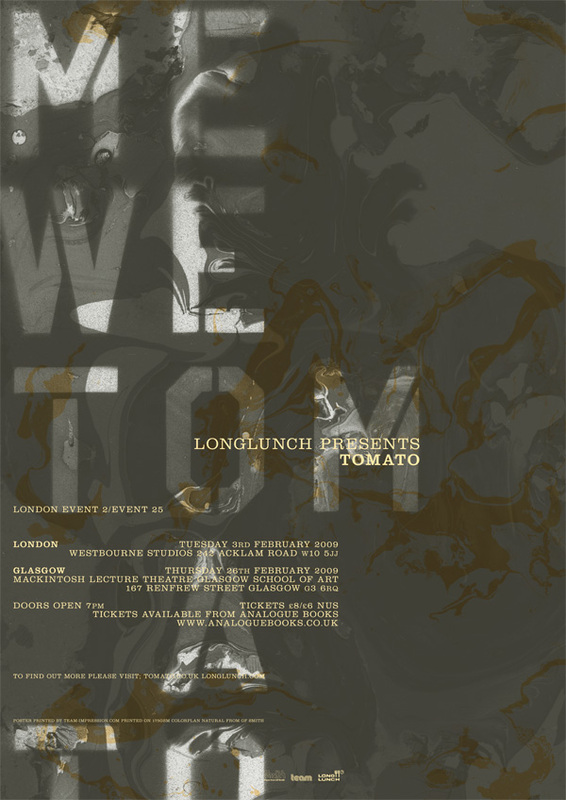 Tomato was founded in 1991 as a collective comprising artists, designers, musicians and writers. the group develops cross platform, multi-media projects; both commercial and research based. They engage in publishing, exhibitions, live performances, public speaking and hosting workshops as well as working with clients in the areas of advertising, architecture, fashion, public installations, music, television, film and graphic design.